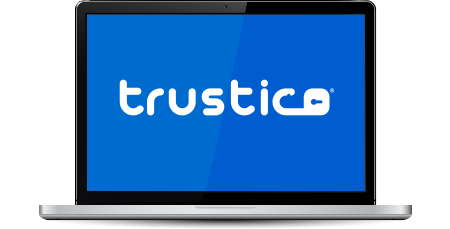 Trustico® is one of the world's favorite SSL Certificate providers. Our SSL affiliate program will instantly reward you with 10% of each SSL Certificate sale that you refer through our website. There's no easier way to make money online through referral commissions. Simply add your choice of "ready-to-go" text links and display advertisements to your website, blog, e-newsletters or any other online advertising medium to start making money straight away. Our wide range of promotional text links and display advertisements are pre-embedded with your own special affiliate code and we continually test them to ensure the best possible click-through-rates and affiliate earnings for you. Try It Out For Free! No Obligation! We take our Trustico® SSL affiliates seriously and operate a truly efficient and reliable service. You can request an affiliate payment when you have accrued just $50.00 in commission and we'll send it to you via PayPal promptly. Please Contact Us if you would like to discuss alternative affiliate payment methods. As an additional option, commission can be used against future Trustico® orders. Please Contact Us to take advantage of this method. If a customer lands on one of our sites and then switches to one of our international sites, you'll still earn 10% commission! We update our product prices regularly with the latest exchange rate data - ensuring our affiliates accrue the correct amount of commission. Joining our affiliate program costs you nothing. Simply add code to your website and earn extra cash every time you refer new sales to us. It couldn't be easier. The more people you refer, the more you earn.